I need frequent reminders on feeling inner peace and not being influenced by the anger and horrible acts of the outer world. I heard that phrase or variants several times during performances at the Friends for Peace Day in Ottawa last weekend. For the past few years, I have made it a habit of attending, to enjoy performances, chat with acquaintances – and new friends, and make bids on silent auction items that appeal to my constant need for reminders for inner peace, quest for wisdom or acts of whimsy. Being an introverted type and moody middle-aged mother, I prefer to attend non-competitive, calmer public events. I enjoy the Friends for Peace Day musical performances, especially those with children singing or playing instruments together. 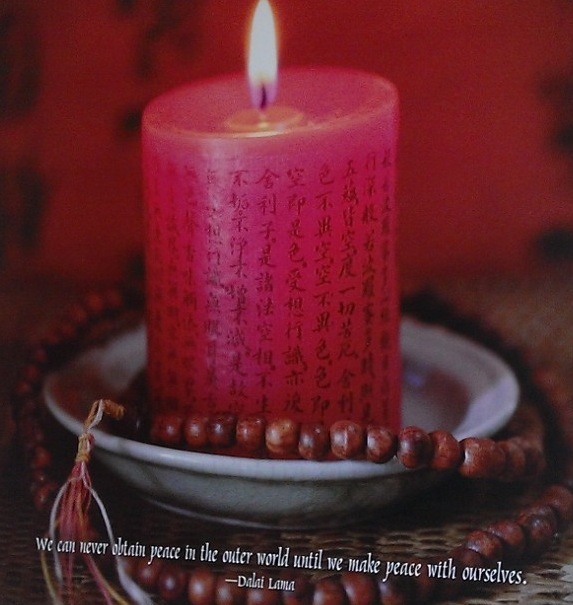 Tears well up when I hear voices joined in harmony, offering comfort, nurturing peace or celebrating joy. A short time after last weekend’s event, I received the call that a couple of my bids had won. I ventured out after the work day by city bus to pick up my winnings. 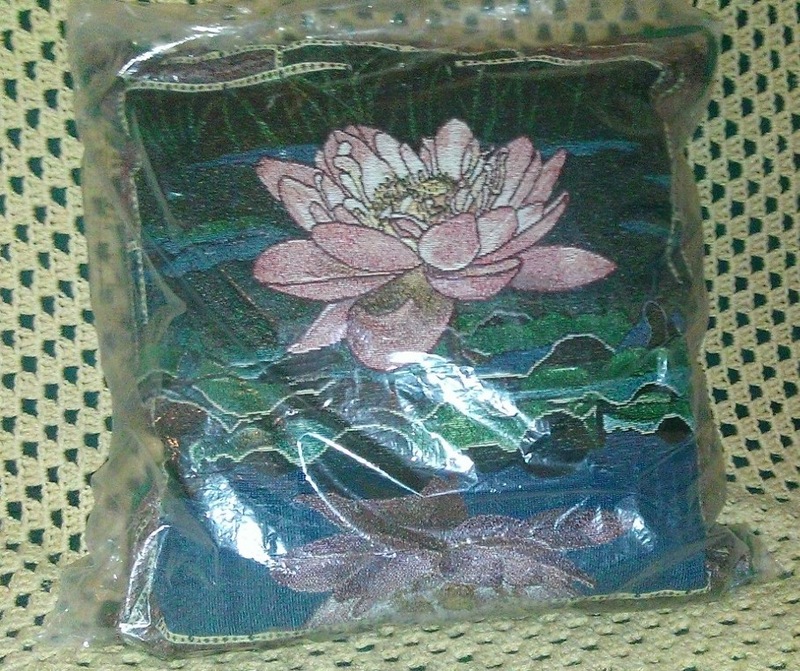 This lovely lotus cushion may have to stay in its plastic wrap for a while lest it becomes embedded with cat fur. 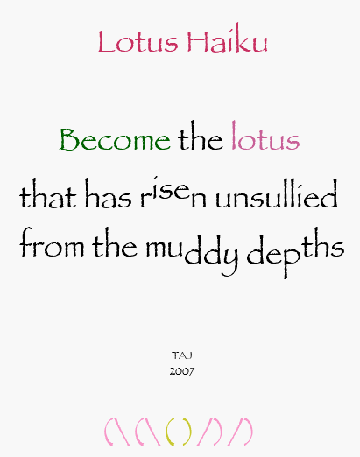 Its image reminded me of an ASCII art work and Haiku poem I created during a difficult time. Next was a Zen Alarm Clock. I have wanted one of these for a long time, wishing to have a gradual waking up process – other than me reaching over a cat every ten minutes, hitting the snooze button on a digital alarm clock radio tuned to Majic 100 or The Jewel 98.5. Eventually, one of the cats will succeed in waking me to serve breakfast. The “pounce on the bladder area” technique often works. 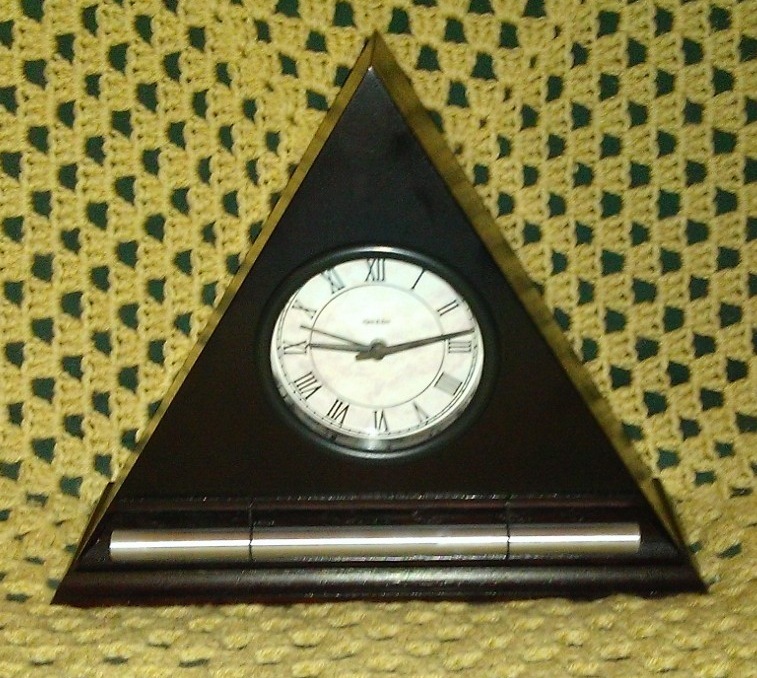 One of the young folk commented that it was odd for a Zen alarm clock to be framed by a triangle shape, alluding to it looking like something from the Illuminati. The other made a joke, stemming from a theme in a popular sitcom. Someone remind me why I still feed and shelter these wisecrackers? While I was testing the alarm, the cats did not seem to like the sound. 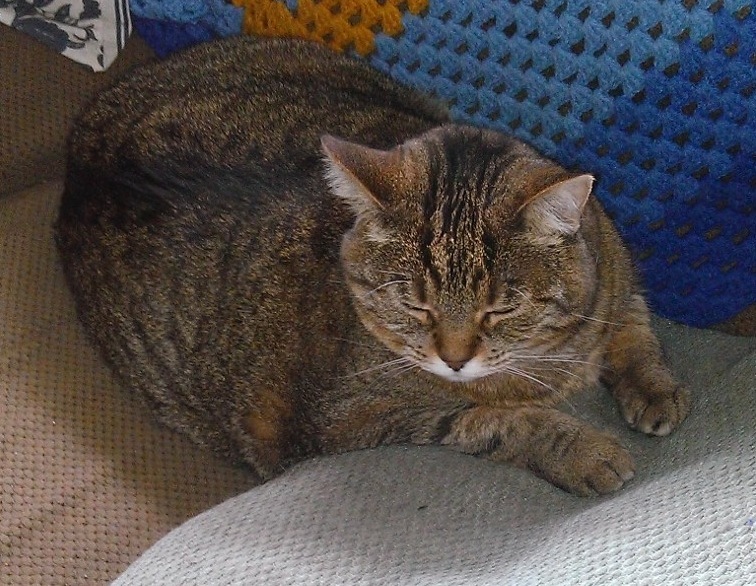 Miss Tabby displayed an annoyed look with her ears twisted back. I turned the alarm off. Peace was restored. Fur now. Have a lovely, peaceful Sunday – however you celebrate it.